I’ve always been a fan of the Boston marathon. For most of my adult life, I lived or worked near the marathon route, and I was a dedicated spectator. Race day was always a big deal, even for us spectators. We’d have the TV on to watch the race begin out in Hopkinton, and then make our way to the course in time to see the pros come speeding through, followed by wave upon wave of amateur runners. I was always amazed and inspired, not so much by the elites, but by the people in the back. The guys running in kilts, the women dressed like Wonder Woman, people in Elvis costumes. Some years, I had friends running it, and I’d stand on the road, eyes scanning the crowd of faces, yelling and screaming when I finally recognized someone. I never, however, not for even a minute, thought about running it myself. I didn’t consider myself “that kind” of runner. I was simply not a marathoner. Just like I wasn’t, say, an astronaut or a an Olympic figure skater. 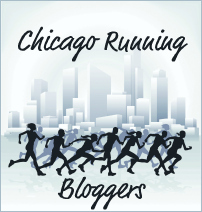 Then some friends tricked me into running the Chicago Marathon in 2009, and boom! – I was a marathoner. I was a slow marathoner. A five-hour marathoner. A back of the pack runner. I knew Boston had qualifying standards (except for Charity Runners, who are exempt) and although I didn’t know what the standards were, I knew they were out of my reach. Qualifying was a pipe dream, a fantasy, like winning the lottery or discovering royal lineage. One day, purely out of curiosity, I looked up the Boston Qualifying (BQ) times. I laughed out loud. I’d have to cut nearly an hour off my time. And then, just to make matters worse, the Boston Athletic Association (the Gods in charge of the Boston Marathon) tightened up the qualifying standards, shaving off five minutes. Boston qualifying times vary by age and gender. For my age group, the original BQ time, before they changed the standards, was 4:00. The current BQ time is 3:55. This year, much to my surprise, I finished the Chicago Marathon in 3:58. Suddenly, I feel like I need to re-evaluate that “impossible” declaration. I like to think that in a way, I actually did have a BQ time. I just posted it after the standards were changed. Had I run it before the new times went into effect, I would have made it with minutes to spare. So, I started to tell people that I attained the “classic” BQ time, like Coke Classic. Then my friend Molly came up with a better moniker: since it was before they changed the standards, it was a “before” BQ time. A BBQ. Now I just have to put some hot sauce on that BBQ and speed up a little. Can I pull it off? Probably not, but I might as well try. Thanks for the encouragement. Like you, I made the decision last year to work on running faster half marathons before doing another full. And I guess it worked! Good luck!